Braise the garlic, ginger and onion cubes in some olive oil. Then add the diced carrots and the chilli pods. Deglaze with soy sauce and vegetable stock, let the dish simmer for about 5 minutes. 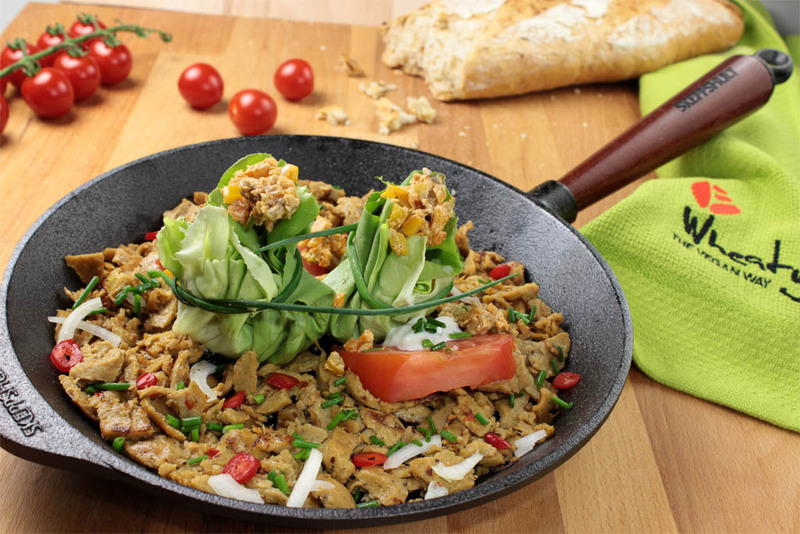 Coarsely chop the Döner and fry in some oil until slightly crispy, then add the vegetable mix. Let the dish cool down when done. Spread out the lettuce leaves on a cotton cloth and lightly press on them. Place the filling onto the leaves in little heaps. Sprinkle some pine kernels on each leaf. Then fold the salad leaves up and fasten with the chives.